Has he ever pushed you to seek revenge? Let’s be honest – everyone woman can relate although many won’t admit it, women have sought revenge on their partner. Incarcerated, Vybz Kartel and Jamaican sensation, Denyque paint the perfect picture of what happens when your partner messes up. Nothing like a woman scorned. This entry was posted in Uncategorized and tagged 2014, dancehall, denyqie dontre, denyque, featuring, gaza, gully, jamaica, love, music, reggae music, relationships, revenge, song, vybz kartel. Trini designer Anya Ayoung-Chee will be reuniting with her Project Runway mentor Tim Gunn as she stars in his new fashion competition series on Lifetime early next year. “Under The Gunn” will see Anya and Runway alums Mondo Guerra and Nick Verreos as mentors to 15 emerging designers. Each mentor will manage and coach their own team of designers. The judging panel will include designer with Vincentian roots Rachel Roy, celebrity stylist Jen Rade and Marie Claire’s senior fashion editor Zanna Roberts Rassi. After weeks of going head to head with different fashion challenges, one designer and their mentor will be declared the winners. Gunn who won an Emmy for his role on ‘Runway’, will be back in the summer for another season in the long running series. 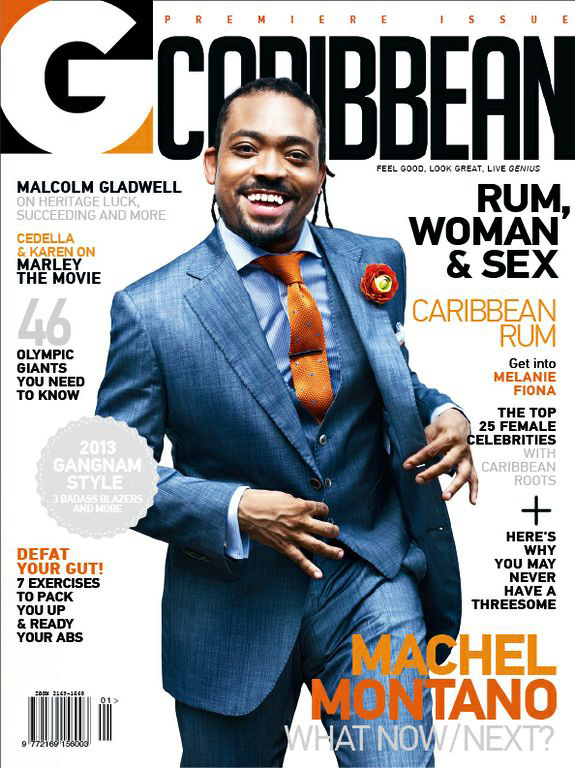 GCaribbean, the Caribbean’s first men’s magazine on December 19th announced the launch of GCaribbean.com with an exclusive from the husband of the newly crowned winner of The Voice Tessanne Chin. GCaribbean.com is the online brand extension of the publication, is an up-to-the-minute touch point, accentuated by multimedia forms (articles, videos, photos, etc. ), allowing for faster content publishing and broader media and advertising reach. Designed for men (and people) connected to the region the site will allow users to obtain freshly curated content on a daily basis alongside articles from the magazine.